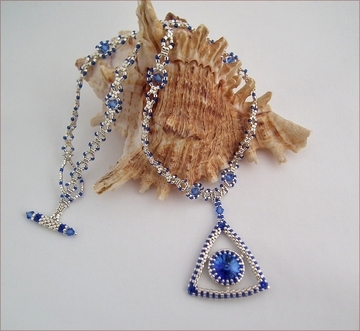 Spring has sprung and to celebrate here is a collection of my newest beadwork pieces. But perhaps you have an old favourite that has been languishing, broken, in your jewellery box? My repairs order book is now open so do get in touch if you'd like me to restring or reknot your own jewellery. Whatever your taste in semi precious gemstones, I am happy to make a piece of jewellery especially for you; many of my customers return time and again to commission me to make a necklace to match an outfit, or jewellery for a special occasion, or a necklace, bracelet or earrings for a gift. I love working with semiprecious gemstones - and working with precious gemstones too! Just look at what some of my customers have said about my handmade jewellery and you will see that people are pleased with what I make. And I do ship all over the world, so don't worry if you want to buy my jewellery but are not in the UK - I'm happy to send your choice to you wherever you are! 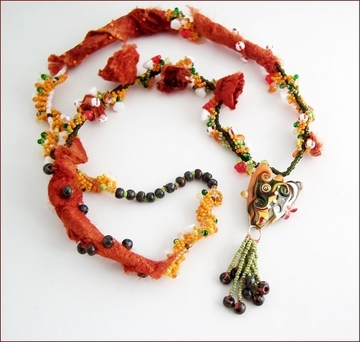 Handmade jewellery, especially handmade semiprecious gemstone jewellery, says so much more about you, whether you buy it to wear for yourself or to give to someone you care about. It says you have thought about it, that you have taste and, above all, that you care! (As I care when I am making it!). 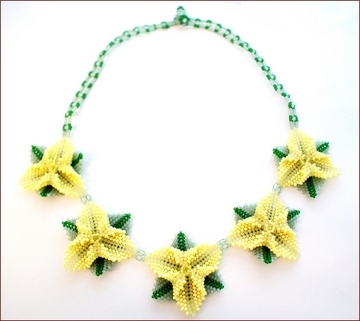 My jewellery making has extended into beadwork too. 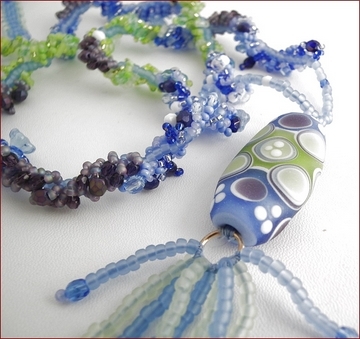 Whilst I still love making jewellery with semi-precious and precious stones I enjoy the challenge of working designs using just tiny seed beads and a needle and thread. Beadwork is a life-long journey and I find it very satisfying. It does, however, take a long time to make a beadwork piece of jewellery and many hours are spend working up a new design just to see if it works. I'd love to know what you think - any feedback is very welcome! I just found this handy tip for doing bracelets up without someone to help you (scroll to bottom of the page in the link for the video).